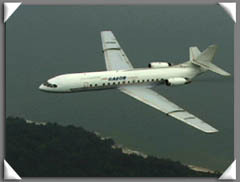 Caravelle was the world's first jet-powered airliner developped for short to medium range service with a first flight in 1955 ; 50 years later the aircraft was retired from service. 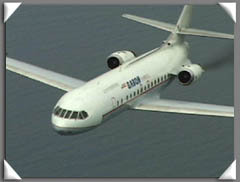 Luckily Just Planes filmed the classic plane in the late 90s in order to keep it alive! 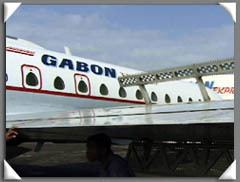 Gabon Express started operated scheduled jet and prop services to various destinations in Gabon from 1998 to 2004. . At the time this program was filmed Gabon Express was the last airline in the world to operate a Caravelle in scheduled passenger service making this dvd a very unique experience. 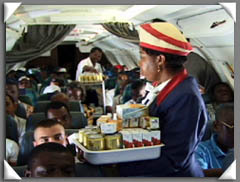 The program also features the Hawker Sidley 748 and you will learn about both types of aircraft as you follow flights to very primitive fields in Africa. 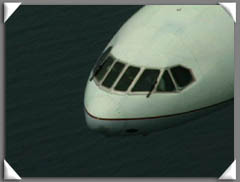 At Oyem the Caravelle must engage its reversers before landing due to the short runway! 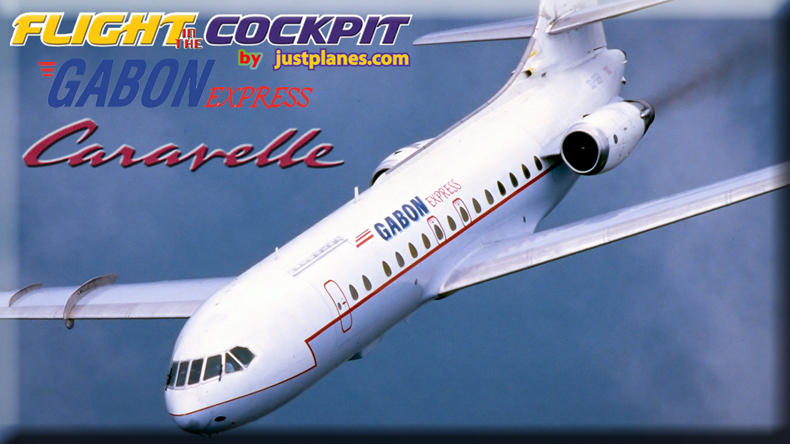 An experience that cannot be missed is the air to air of the Caravelle over the coastline of Gabon, this is certainly one of the highlights of the World Air Routes series! DVD is SOLD OUT! DOWNLOAD AVAILABLE! 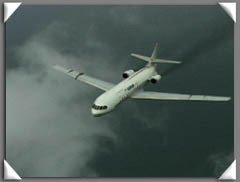 One of the (now prolific) series of 'World Air Routes' cockpit-oriented videos from Just Planes Videos, this one distinctive because it covers an exotic part of the world, equatorial Africa, and the operation of the only Caravelle in regularly scheduled passenger service. 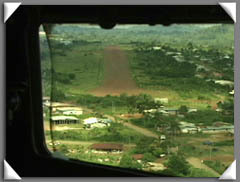 In fact the video begins with a flight on GEX's Hs748 to Bitam, in northeastern Gabon, which gives the viewer an idea of bush flying in this part of the world. 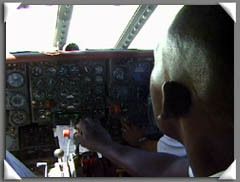 The remainder of the program offers 10 takeoffs and landings in the Caravelle 11R, shot from the cockpit, including two 18-19 minute flights between Libreville and Port Gentil, one of the shortest scheduled Caravelle routes ever flown. There are also two trips to Oyem. 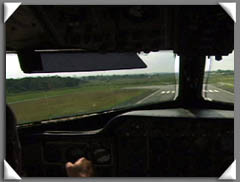 As this airport has a short runway, reverse thrust is selected on the Pratt & Whitney JT8Ds as the aircraft is over the treshold to ensure a stop before the trees that are clearly visible at the end of the landing strip. 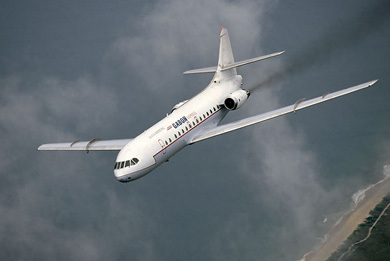 The highlight, however, must be the stunning air-to-air sequence of the Caravelle at 1500ft over the beach near Libreville, filmed (somewhat courageously) by Jan Mogren from the open back door of GEX's Andover. For many, this video offers the only chance to see a Caravelle in action, and one in a far from mundane location. 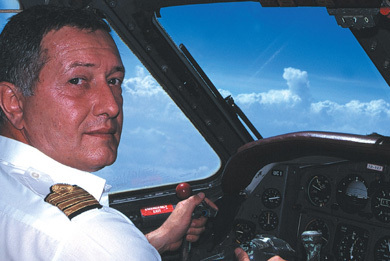 But for those already thinking of taking up the invitation of Capt Bob Sobek, GEX's owner, to visit Gabon and fly the Caravelle, this footage will spur them on to complete an expedition. 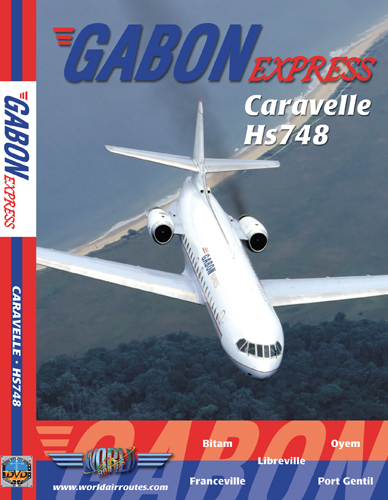 Very interesting dvd on secondary local central african carrier. 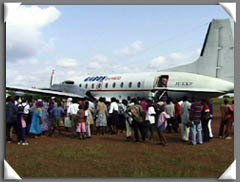 Unfortunatly with slightly bitter taste knowing that the airline has shut down operations since a fatal crash occured in june last year! 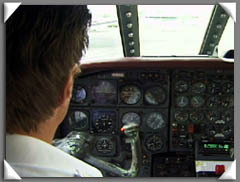 This DVD gives great insight on the daily flight operations on airlines like this! 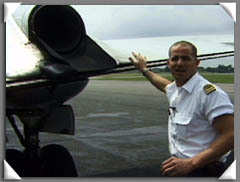 Dangerous yes, but for the aviation enthousiast this great DVD is an absolute must!! !